Did tsar Alexander I leave his throne for a solitary life in Siberia? Alexander the First is believed to spend decades after his official death living incognito in Siberia. The strange circumstances surrounding Alexander I’s death in 1825 has long caused much speculation about his possible clandestine departure from Imperial court life. The most popular theory claims that the czar lived secretly in Siberia for almost 40 years as the hermit monk Feodor Kuzmich. “The sphinx, who remained an enigma to the grave” - that’s how Pyotr Vyazemsky, a Russian 19th century poet, described Alexander I. Vyazemsky had a point: the emperor who took over the throne from his murdered father, Paul I, killed in a coup, had much to hide, and his views changed dramatically throughout the course of his life. Alexander started as a liberal full of a desire to implement reforms, establish a parliament, a constitution, and even abolish serfdom. In the end, however, he decided to refrain from serious changes in order to keep his aristocracy content, and thus his reforms remained stillborn or unfinished. This doesn’t mean that his reign was not glorious. After all, it was under Alexander’s leadership that Russia defeated Napoleon’s army, crushed the French empire, and even occupied Paris. But by the end of his life, Alexander was apathetic and spent his days in prayer, letting his ministers run Russia. Perhaps that was the reason why his sudden death triggered so much doubt in society. According to the official version, Alexander died of typhoid fever in November 1825 in the city of Taganrog, about 600 miles south of Moscow. As Andrei Sakharov, a historian form the Russian Academy of Sciences mentioned in an interview, the emperor was just 47 years old and in good physical shape at the time of his death. That was not the only strange thing about his passing, however. Alexander’s body was in a closed coffin, and almost no one saw his face. Those who did said the deceased didn’t look like the emperor. On the other hand, there could be a simple explanation for this: it took almost two months to transport Alexander’s body from Taganrog to St. Petersburg, so this could just be the effects of decay. But why would an almighty emperor leave his throne? Sakharov said that Alexander suffered harshly from guilt, and there’s strong evidence that he had been privy to the conspiracy against his father that put him on the throne. This crime could have made his time as tsar unbearable, especially when he became a stronger Orthodox Christian believer in his 40s. More than 10 years after Alexander’s death, in 1836 a strange man appeared near Perm, about 700 miles east of Moscow. The tall, bearded 60-year old with traces of lashes on his back was detained by local police after he failed to explain his identity and origins. So, they sent him to Siberia. He seemed to be happy with that and settled near Tomsk (1,750 miles east of Moscow). The only thing he mentioned to the authorities was his name - Feodor Kuzmich. Feodor Kuzmich lived a long life, until his death in January 1864. As a profound Christian always ready to help his Siberian neighbors, he quickly won their admiration with his wisdom and kindness. And so, they treated him as a starets (literally “an elder” meaning “a spiritual father,” an unofficial rank close to a saint). It is hard to distinguish between truth and legend when studying testimonies on Feodor Kuzmich. He never mentioned his past, but was believed to speak fluent French, which he demonstrated when speaking with officers from the local garrison. He also told stories about life in St. Petersburg and the Patriotic War of 1812, and spoke of Russian commanders as if he knew them personally. There were also several reports of soldiers who had once served in the capital and they thought that Fedor Kuzmich looked exactly like the deceased emperor. Even 150 years after Kuzmich’s death nobody has either proved or refuted his relation to Alexander I. In his groundbreaking book, Imperial Legend: the Disappearance of Czar Alexander I, historian Alexis Troubetzkoy mentions that even in the mid 20th century prominent Russian aristocrats living in Paris solemnly believed that Alexander I didn’t die in 1825 and lived the rest of his life in Siberia as Fedor Kuzmich. While there were many witnesses stating that the two men were in fact one, there are also serious counterarguments. For instance, Fedor Kuzmich was known for using specific Ukrainian and South Russian words that Alexander, who was born and bred in St. Petersburg, unlikely would know. To date, no genetic expertise has been done that could clear the matter. As anthropologist Mikhail Gerasimov stated, the government constantly refuses to open Alexander’s tomb to do a DNA test and compare with other Romanovs. As for forensic handwriting expertise, the results are elusive and specialists can’t agree. For now, the truth surrounding Alexander’s death and possible escape into the wilds of Siberia is still out there. 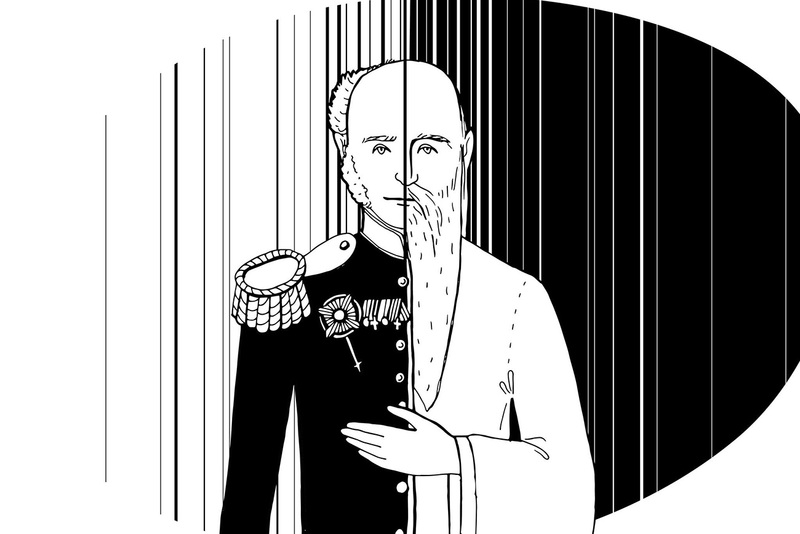 Did Russia’s last Tsar fall prey to a conspiracy hatched by the Masons?